Anyone that liked the anti-NSA Blackphone unveiled last year will be happy to know that today marks the release of its successor, the aptly named Blackphone 2. Silent Circle has delivered yet another privacy promising smartphone that incorporates a upgraded set of features plus the ability to use Google Services including Play Store and support for Android for Work. Under the hood the smartphone packs a larger 5.5-inch Gorilla Glass encased display, a Qualcomm Snapdragon octa-core chip, 3GB of RAM, 32GB of storage that is expandable using the microSD card slot, and a 13-megapixel camera. 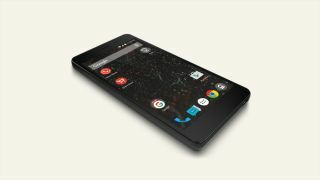 Privacy-wise, the Blackphone 2 offers full device encryption as default, which is provided by the Android-based Silent OS that runs the show. A big part of this is the Security Centre that allows the user to manage the privacy and security settings of individual apps in one place and fine-tune any conditions accordingly. 'Spaces', another facet of the Silent OS, allows users to make a clear distinction between their business data, personal information and social apps on one device. It also comes pre-loaded with Silent Circle's much vaunted Silent Phone app that provides encrypted and secure voice calls, conference calling, video conferencing, secure text and file transfers in one place. Silent Circle is releasing the Blackphone 2 as the first key element of its Enterprise Privacy Platform (EPP) that was first detailed at the Mobile World Congress 2015 in March. EPP comprises a cloud-based combination of software, services and devices that use existing internet connections to make sure privacy is paramount at every level of the enterprise. The EPP is build from ZRTP (Z and Real-Time Transport Protocol), thus adding yet another later of security, and the software part includes PrivatOS, Silent Suite and Silent Meeting while services bundled are Silent Store, Silent World and Silent Manager. The Blackphone 2 is available to buy right now and comes with a RRP of $799 (around £525, or AU$1,138).